Adolf Hitler and the previous Tory PM David Cameron. 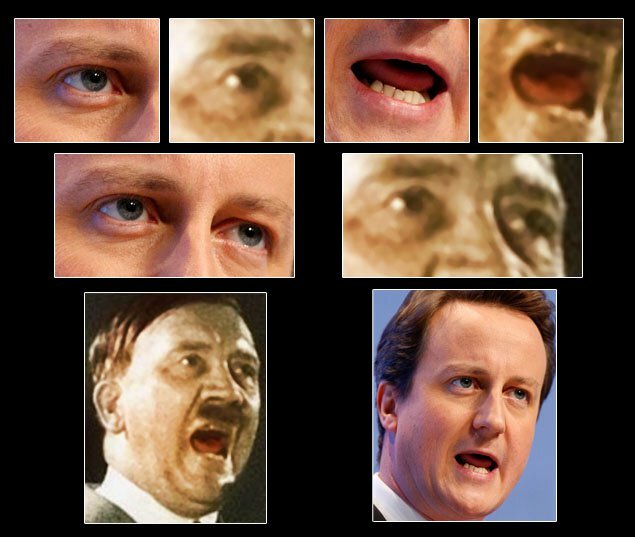 The face has changed, but its getting harder to tell the difference between the Tories and the Nazis. Mike also notes that the phrase ‘British jobs for British workers’ was a BNP slogan from a few years ago, and shows the proof in a picture of an election billboard on one of the Nazi organisation’s vans. There have always been unnerving links between sections of the Tory party and the extreme Right. There was the Anglo-German Fellowship of wealthy businessmen and aristocrats advocating friendship with Nazi Germany before the Second World War. These links were re-established in the 1960s and 1970s, if not before, when the National Front coalesced from a number of different extremist groups, including Arnold Leese’s the Britons and the League of Empire Loyalists. 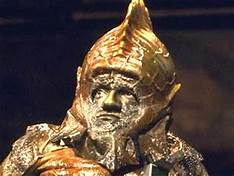 Despite the Monday Club, then a section of the Tory party, banning members of the extreme Right from joining and opening its membership books to inspection by the Board of Deputies of British Jews, the connections with the Fascist right continued under Maggie Thatcher. Thatcher was impressed with General Pinochet’s military dictatorship in Chile, and was personal friends with the mass murderer when he visited Britain. The libertarian section of the Tory party, the Freedom Association, also appeared several times in the parapolitics magazine, Lobster, for its dinners at which the leaders of various South and Central America death squads were the guests of honour. The links between the Tories and Fascism were so strong, that the BBC made a documentary about Nazi infiltration into the party, entitled Maggie’s Militant Tendency, after the Trotskyite entryist groups then a subject of controversy in the Labour party. Maggie showed her customary attitude tolerance and openness to tolerance and media criticism, and had the programme pulled. Mike over at Vox Political has followed and described the increasingly authoritarian anti-immigrant attitude in Cameron’s government. Remember when he put the vans on the streets encouraging people to inform on illegal immigrants? And the posters which asked immigrants to turn themselves in, promising free repatriation back to their countries of origin if they did so? 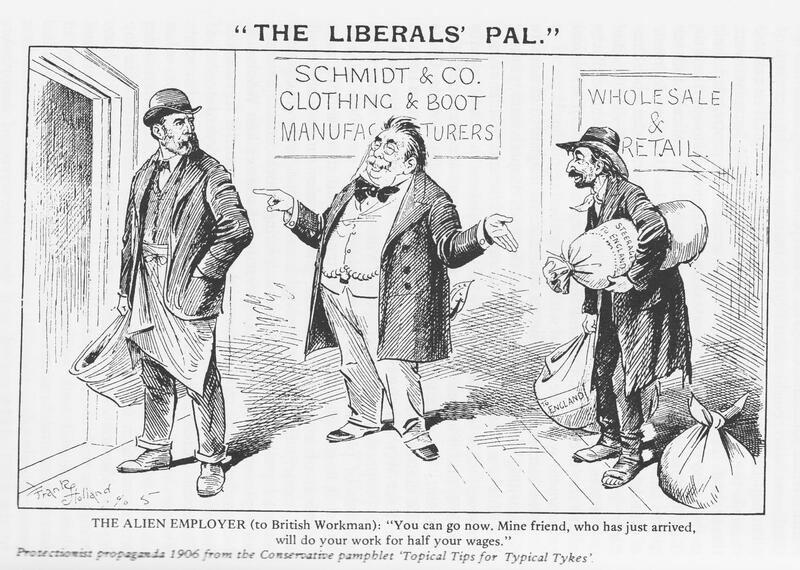 How long before the Tories start whipping up popular anti-immigrant hysteria, urging us to be vigilant and watch for illegal immigrants and foreign workers? Perhaps May will also start organising house to house searches for those that have gone underground, while those caught are rounded up and put into concentration camps for their own protection. Guarded, no doubt, by G4S, who have done such great work providing security staff for the present detention centres. Mike commented on one of his blog pieces about the latest Tory attack on immigration that the Tories are trying to set Brits and immigrants against each other in divide and rule strategy. Keep the two at each other’s throats for scarce jobs and welfare benefits, all the while cutting down on the latter after running scare stories in the Heil and Murdoch press about immigrants occupying council houses and taking unemployment. All the while keeping from the public the fact that immigrants aren’t taking native Brits’ jobs, and are actually net payers into the welfare state, rather than a drain. It isn’t immigrants, who are causing unemployment, lowering wages and cutting welfare benefits: it’s Thatcherite, neo-liberal economics, which is encouraging the outsourcing of industry, massive privatisation of whatever is left of the state sector, and the destruction of the welfare state. This is done with the deliberate intention of creating a cowed, fearful workforce, permanently in debt and on the verge of bankruptcy and destitution, ready to take any job, no matter how poorly paid and exploitative the conditions. It isn’t immigrants, who often work in poorly paid and exploitative jobs themselves, who are causing the immense profiteering of this country’s bloated rich. It is the wealthy industrialists, aristocracy and financiers and their puppets, the Conservatives and Blairite New Labour. This is why we desperately need a genuinely socialist government to create proper jobs and restore the welfare state so that people can rely on decent medical treatment and the state support they need to care for them in sickness, disability, unemployment or retirement. Nye Bevan, the architect of the modern NHS, described the goal of such a socialist government in the title of his book, In Place of Fear. The Tories, on the other hand, believe in ruling by fear. And the grasping immigrant, ready to take British jobs, is another bogeyman set up to keep us afraid and divided. Don’t be taken in. Immigrants are not our enemies. Our real enemies are in government and the CBI. We have to unite, and get them out. Only then can we start building a decent society built on proper compassion and respect. Yesterday I put up a piece about a pro-Fascist piece written by a Conservative MP in the pages of the Daily Mail back in the 1930s, praising Oswald Mosley’s British Union of Fascists, and the organisation’s supposed parentage in the Conservative party. The Tory urged that relations between the two organisations should become closer. This was in ‘Gracchus” book, Your MP, which also included a variety of pro-Nazi speeches and sentiments by the Anglo-German Fellowship and the Link, interwar organisations that had been set up to foster good relations with Nazi Germany, whose members naturally included pro-Nazi businessmen and Tory MPs. He deplored the possibility of a British victory because “the most likely result will be a strengthening of Russia, and the spread of Communism westward. I can even visualise our troops fighting side by side with the Germans to defeat the Bolshevist menace.” (30.11.39) House of Commons). (p. 13). In the event, the victory of the Allies against Nazi Germany did lead to the spread of Communism into Eastern Europe, though mercifully it didn’t lead to the shame of British troops fighting alongside Nazi forces against the Russians. And yes, Stalin’s dictatorship and the rule of his puppets in the former Soviet bloc was horrific. It was rather less horrific than what Hitler had planned for them, however. After the Fuehrer had exterminated the Jews and Gypsies, he would have worked the Slavonic peoples of the conquered eastern territories – Poles, Czechs, Slovaks, Ukrainians, Belorussians and Great Russians – to death as slave labour. He makes this very plain in his Table Talk, where he also talks about sending in Jewish salesmen to supply them with contraceptives so they don’t breed. I put up this piece as it’s an example of how the Tory extreme Right even got as far as my home town. It makes you wonder just what other dirty secrets the local Tories have buried away in the Constitutional clubs. It’s very notorious that the Daily Mail was solidly behind Oswald Mosley and the British Union of Fascists in Britain, and Adolf Hitler in Germany, at least initially. Tom Pride over at Pride’s Purge about a year or so ago dug out a whole tranche of quotes of columns from the Heil celebrating and promoting the Blackshirts and the Nazis, while at the same time warning of the impending threat from Jewish immigrants and asylum seekers. This was in response to a hit-piece in the newspaper attacking Ed Milliband’s father, the Marxist academic Ralph Milliband, as ‘the Man Who Hates Britain’. For all that he hated British capitalism and its institutions, Ralph Milliband was a patriot, who fought for his adopted country in the war. As opposed to the father of one of the journos on that esteemed organ, who seemed to have enjoyed a somewhat quieter, less riskier life as its sports correspondent. Surely there cannot be any fundamental difference of outlook between the Blackshirts and their parents, the Conservatives? For let us make no mistake about that parentage … It is largely derived from the Conservative Party … surely the relationship can be made closer and more friendly? He also praised the BUF squadristi for their ‘pride of race, love of country, loyalty’ and stated that the briefest study of the movement and the most casual examination of its members satisfy one of that it is largely derived from the Conservative . This is perhaps natural for the instincts are the same, loyalty to the throne and love of country. From ‘Gracchus’, Your MP (London: Victor Gollancz 1944) 47, 48. The Anglo-German Fellowship and its related organisation, The Link, were ultimately marginal organisations on the Tory fringes. But this certainly shows how far some members of the Tory party did sympathise with Hitler and Mosley. And I’ve no doubt that its an aspect of Tory history they want to suppress in order to promote the image that it was only under Churchill and the Tories that Britain stood to defeat Nazi Germany.